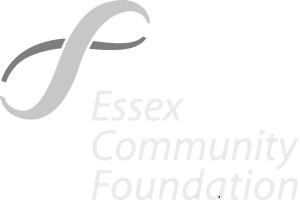 Changing Pathways has been providing support to women and their children affected by domestic abuse in South Essex and Thurrock for over forty years. We provide free and confidential services for people who are currently experiencing, or have previously experienced domestic abuse and other forms of inter-personal violence including stalking, harassment, ‘honour-based’ abuse and forced marriage. We focus on listening to survivors and together decide the support required to enable them to take their first step on a pathway to rebuilding their lives. Safe, temporary refuge accommodation for women and their children. Outreach support for individuals experiencing domestic abuse living in the local community. Dedicated support and advocacy for individuals experiencing stalking and harassment. Parenting education and one to one support for Thurrock residents. Specialist support for survivors from Black, Asian, Minority Ethnic (BAME) communities experiencing ‘honour-based abuse and forced marriage or who have no recourse to public funds. Individual and group counselling and therapy to help survivors recover from trauma. Play therapy and counselling for children who have experienced domestic abuse in their home environment. Support and advocacy for hospital patients who are experiencing domestic abuse. Domestic abuse impacts on all communities. If you are suffering from physical, sexual, psychological, emotional and/or financial/economic abuse, or are being threatened, intimidated or stalked by a current or previous partner or close family member, you could be a survivor of domestic abuse. You may be feeling frightened, isolated, ashamed and confused. If you have children, you may be concerned about how the domestic abuse is impacting upon them too. You do not have to face this situation on your own. Changing Pathways will support you through your decision to reclaim your right to a safe, happy and abuse free life. You will not be judged in any way and we will ensure that we only ever move at the pace you want to go. Please get in touch if you think we can help you.